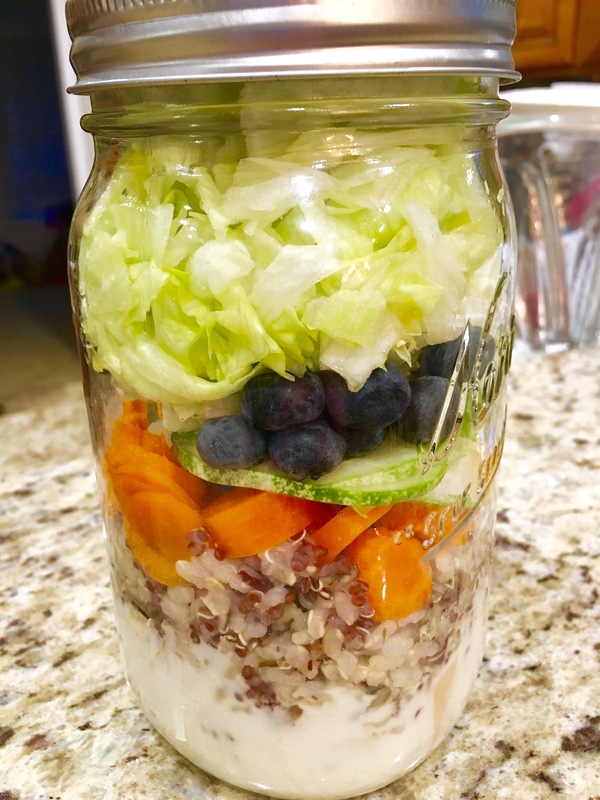 Blue Cheese Dressing, leftover chicken, quinoa and brown rice combo, carrots, cucumbers, blueberries, and lettuce. Just need to shake and eat! So healthy!